Just days to go until the 2018 Royal Blue Coach Run. 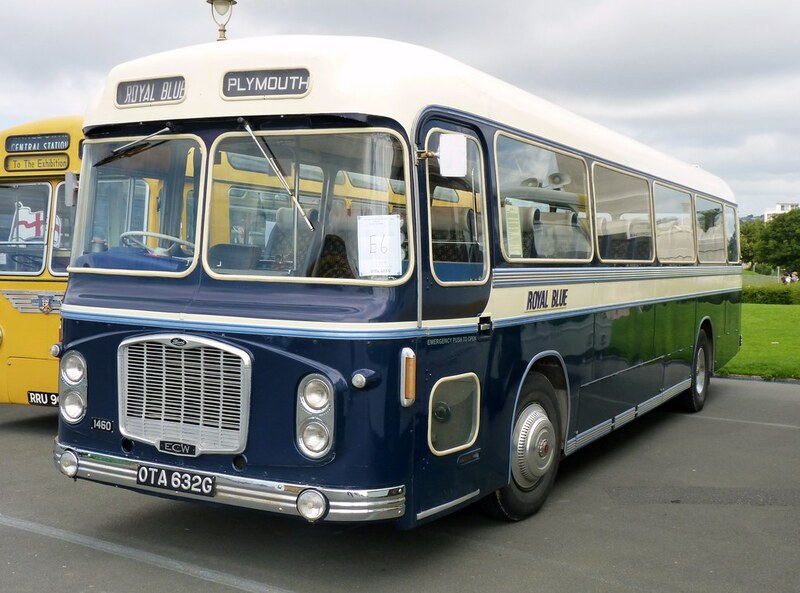 Fourteen vintage coaches will take part in a long-distance run on Friday, Saturday and Sunday (15-17 June). Enjoy live footage via the Thames Valley & Great Western Omnibus Trust page and watch the coaches as they pass. The Day 1 route is following a Southdown route From London (Victoria Coach Station) to East Grinstead. From there the run follows the joint Southdown and Royal Blue route to Bournemouth operated in the 1950s and ‘60s, going as far as Winchester on Day 1. The run crosses the Thames at Vauxhall Bridge and on through Purley and Caterham. From East Grinstead the route goes via Crawley, Horsham, Billingshurst and Petworth. However, major roadworks completely closing the through route at Midhurst mean a diversion towards Haslemere then south again to Petersfield is required before continuing on to Winchester. Day 2 begins with an early start and picks up the joint Southdown - Royal Blue route on from Winchester to Bournemouth via Ringwood. 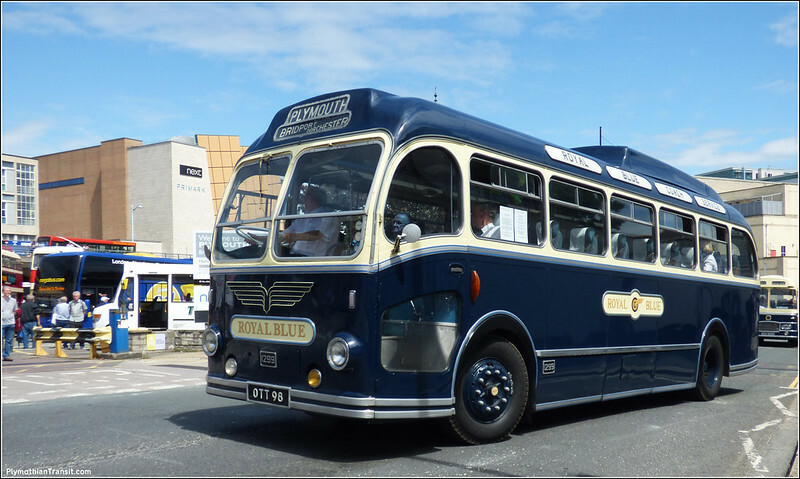 From there the Royal Blue service from Bournemouth to Barnstaple, dating from the Elliott Brothers era in the early 1930s, is followed as far as Tiverton. Leaving Bournemouth the route crosses Poole Bridge and continues on through Lytchett Minster and Wareham to Dorchester (for lunch). Traditional routing via Crewkerne, Chard, Ilminster, Taunton and Wellington continues on over the Blackdown Hills through Hemyock, Culmstock and Uffculme to Willand. Our original intention was to complete the day at Tiverton but because it has recently been announced that Exeter Coach Station will be finally closed for redevelopment on the evening of 16th June we shall, by kind permission of Stagecoach South West, visit the Coach Station for the very last time to complete Day 2 of our Run. Day 3 begins in Tiverton continuing the Royal Blue route to Barnstaple and Ilfracombe. 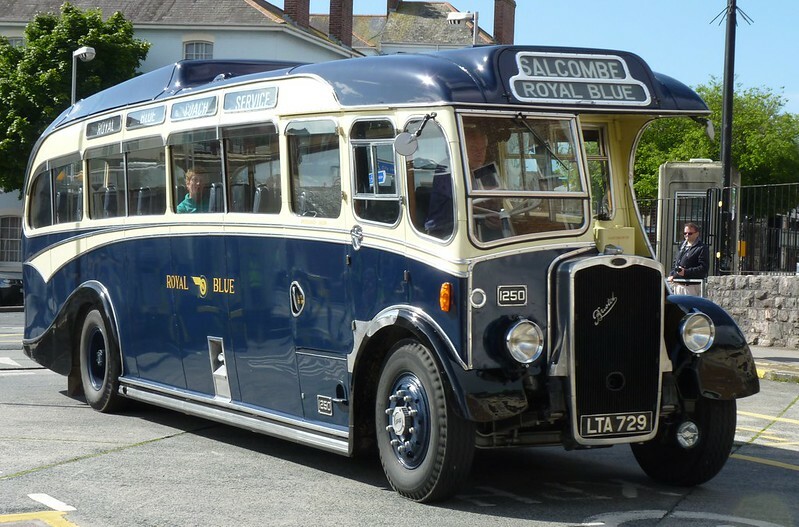 From there the Royal Blue Ilfracombe-Taunton service is picked up going through Combe Martin and across Exmoor to Wheddon Cross, Dunster and Minehead. The route goes via Williton to Taunton where the full run will now terminate as access for group parking in Bristol has recently been restricted. While some coaches will head south and west, others will nevertheless continue up the A38 towards Bristol and compass points beyond.